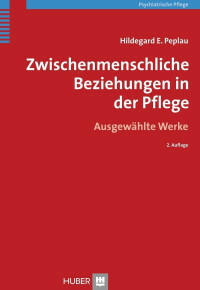 Wo bleibt die Pflege bei der Pflege? 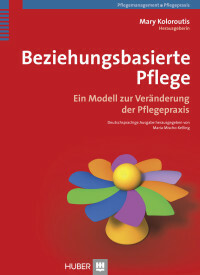 Die professionelle Arbeitsbeziehung zwischen Pflegenden und Patienten ist der Kern des Praxismodells "Relationship Based Model". Gesundheitseinrichtungen sind heute hochkomplex organisiert und weitestgehend funktional – Pflege selbst ist dagegen eine personbezogene Dienstleistung. Man kann sich fragen, wie das zusammenpasst. 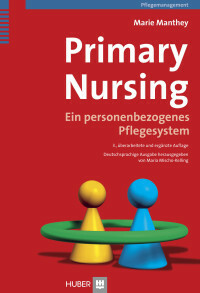 Mit relationship based care legt die amerikanische Pflegewissenschaftlerin Mary Koloroutis ein Modell vor, das auf dem Pflegesystem der "Primären Pflege" aufbaut und den zu pflegenden Menschen als Einzelfall in den Mittelpunkt stellt. 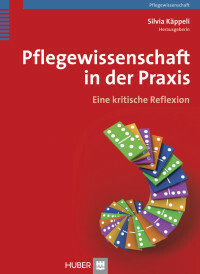 Gleichzeitig bleibt dieser Einzelfall eingebunden in ein komplexes System der professionellen Pflege im Massenbetrieb Krankenhaus. Mary Koloroutis hat dieses Modell begründet und entwickelt. Sie ist Dozentin für Nursing Leadership an der University of North Dakota und Direktorin für klinische und professionelle Entwicklung am Abbott-Northwestern/ Allina Hospital in Minneapolis MN. Weitere Informationen sind auf ihrer Website abrufbar. Folgende Textauszüge stammen aus einem Interview mit ihr. I would start out by saying RBC brings us back to basics. It creates an organizational framework that supports the very best possible care for patients. The nurse patient relationship is the corner stone of professional nursing practice. Nurses voice a fierce commitment to the values of caring, advocacy, collaboration, and seeking what is in the best interest of the patients and families they serve. Despite these commitments, the realities of existing care delivery systems and the health care environment challenge the abilities of nurses to live their mission every day. RBC creates the philosophy, infrastructure and the operational principles to support nurses’ mission to care. It makes the stated mission of these committed nurses a "path of least resistance" rather than an unsupported dream. When I entered nursing practice, it became clear to me immediately (a magic point of no return) that safeguarding the humanity of those in our care as well as the humanity of those providing care would take intention, awareness and committed and inspired leadership (whether at the point of care or leading in a role within the organization). Institutions are where most care is provided and they are, by nature and design, prone to dehumanizing processes. The volume of patients served, the complexity of human caring and the complexity and escalating development in the sciences and technology all take attention and can undermine our core purpose. Holding the person central takes mindfulness, teamwork, and perseverance, along with an established way of doing/way of being within an organization that supports caregivers in keeping patients and families central at all times. This has been my life’s commitment and work. From the early 70s on, there has been tension between a focus on tasks/technical work and a focus on the patient. In the US, there was a study done by Lysaught regarding nursing education. The Lysaught report proposed that the caring nurturing aspect of nursing was too heavy of a focus in nursing education. Lysaught perceived this area of practice as a "feminine trait" rather than understanding that it is a complex body of knowledge and skill. He saw the human caring aspects of nursing work as "niceties" and actually diminishing to nursing as a legitimate profession with solid knowledge and skill in the technical and scientific arenas, especially when compared to medicine’s highly scientific, quantitative, treatment/curative focus. Essentially, he was advocating that there be far less focus on the relational aspects of patient care in nursing education, and he was doing so at a time when there was no more focus on it than there is now. The fatal flaw of this influential report was that it minimized the complex knowledge and skills nurses and other caregivers use every day to respond therapeutically to people dealing with illness and trauma. He was actually implying that we should be less connected to the patients and families in our care. This move toward disconnection is exacerbated in health care cultures that are driven by values around high productivity, efficiency, and technical prowess. There are three crucial relationships at the heart of RBC. Everyone in the organization must understand the interdependency between the relationship we have with ourselves, with others as team members, and with patients and families. Fostering healthy relationships with patients and families may be our primary objective, but those relationships won’t improve in a sustainable way unless we’ve first done the foundational work of knowing who we are as caregivers and learning how to work well together. Individuals must understand the importance of self-responsibility in all of these relationships. The relationship with self is based on self-knowing and self-care. Without a clear understanding of one’s self, a person’s responses to other relationships may adversely affect teamwork and caregiving. Other changes are necessary in the organization along with these developments in relationship, but none of them will be effective (at least not for long) if the people in the organization haven’t done this initial developmental work. I recommend that experienced nurses self-reflect on why they went into nursing to begin with. A clear sense of the meaning and purpose of the work is critical to job satisfaction. As professional nurses, we have had meaning and purpose served to us on a platter. If we fail to recognize it, we become emotionally detached and/or exhausted by the demands of the work. Nurses who thrive in this work are able to tune in to the real meaning, which is the care of human beings at their most vulnerable. Experienced nurses can also do a lot to cultivate a culture of team reflection in which the emotional meaning of the work of caring is brought to the light. This can happen through appreciative questions such as, "Describe a way you made a difference for a patient today." It’s important to learn to reflect on emotional challenges in a way that, instead of draining us, creates a fascination in us for the work we do. Peer support, debriefing following a crisis, and ongoing reflection are critical actions to strengthen practice and prevent burnout.